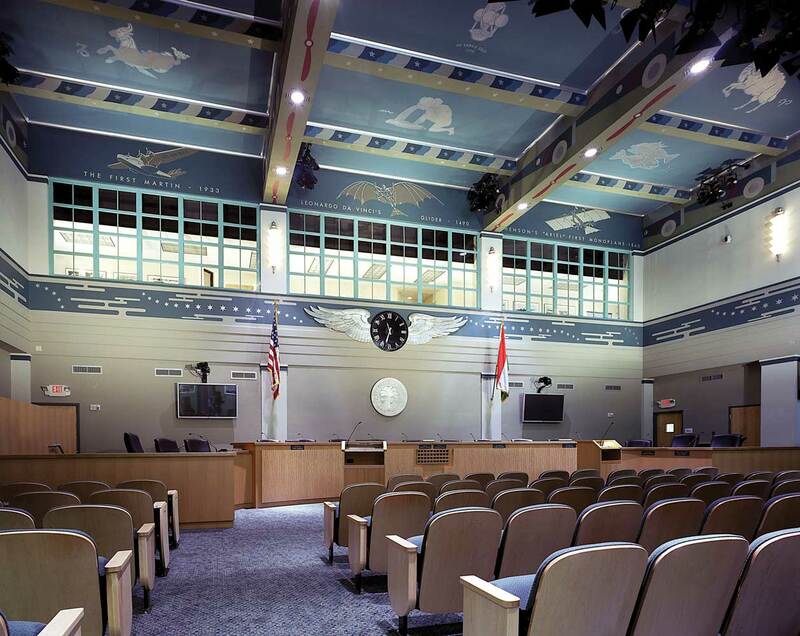 The Miami City Hall was originally built in 1933 to serve as the Pan American World Airways Seaplane Base and Terminal Building. The Art Deco style structure has been designated as a local historic site and is listed on the National Register of Historic Places. 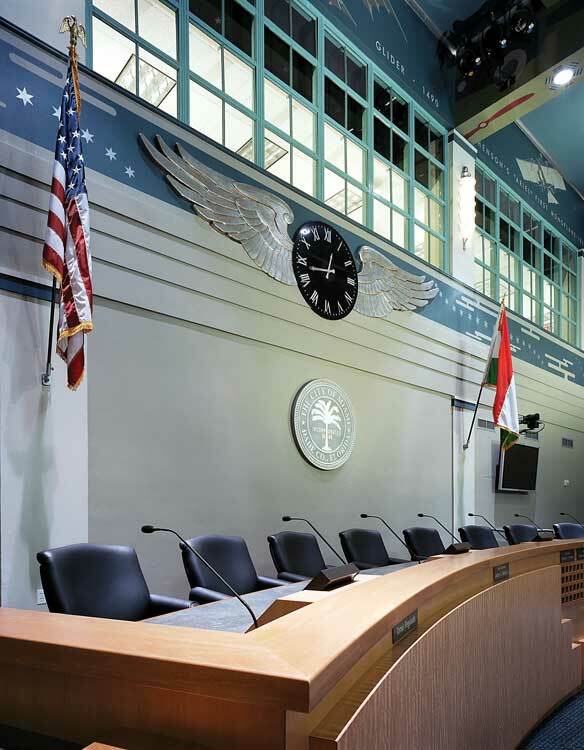 RJHA provided full architectural, engineering and interior design services for the adaptive use of the Pan American Terminal to accommodate functional needs of the Miami City Commission, already occupying the building since 1954. The entrance lobby was restored and the main interior space restoration included new seating, lighting, sound and CCTV systems. New security office and staff/press conference rooms were provided. Among the most significant elements of the interior that were restored to their original appearance are the ceiling panels depicting the signs of the Zodiac and the beams decorated with stylized wings and bands in the Pan Am colors. The murals near the ceiling, depicting the history of flight through themes ranging from Leonardo da Vinci’s aeronautical designs to the modern Clipper planes used during the early days of flight by Pan Am were also restored.